I love surprises. 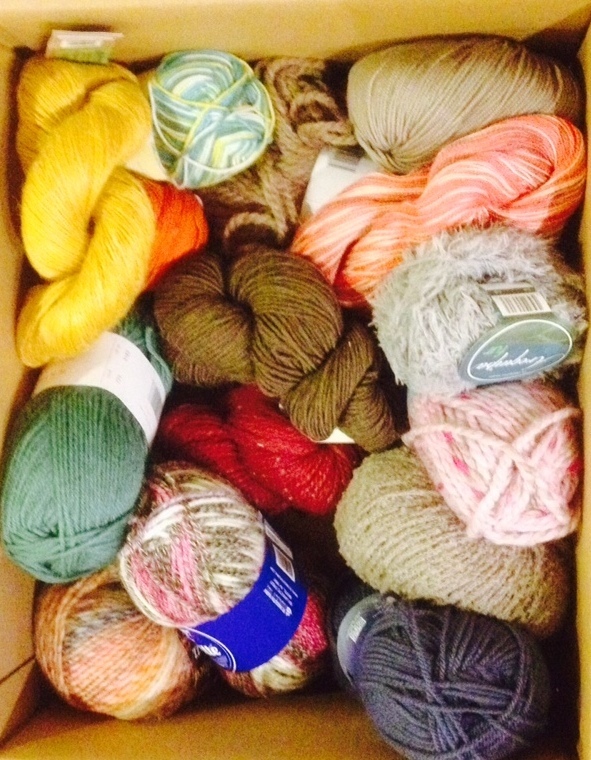 Nothing beats coming home to a pleasant one, free box of yarn samples to be used for submissions swatches. Thanks, Plymouth Yarn.